There is decent money and fruitful career to look forward to in construction industry if you are equipped with right skill-set and qualifications. Sometimes just passing the CSCS Test is not enough to get you the CSCS Card you want. Doing a construction course is often the best way to get the right CSCS Card and above all it build up safety and administrative skills required to be effective in your role. 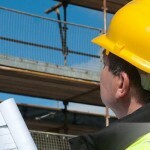 CSCS Courses are safety training and certifications which help tradesmen with both. There will be occasions where you will need to do a course to sit for test. In CSCS test, you get 45-minute touch screen test with 50 questions- 12 based on behavioral case study while the rest 38 judge your health and safety knowledge in your role on construction sites. You need to secure at least 80% pass marks for the certificate. It is only possible when you have the right medium to gain knowledge. Whether you’re a school dropout or a graduate, accomplished or inexperienced, a local or a foreigner, there is no way around possessing the site safety qualifications like the CSCS course. Professionals can book CSCS course online as per their convenience. If your time does not permit you to go, it is better to seek an online booking site to book course. There is a range of revision materials to help you prepare for the test, including downloads, DVDs, apps and question and answer books. You have a much better chance of passing the CSCS Health & Safety Test when you revise beforehand. So make sure you get your hands on some revision material to give you a greater chance of passing the test and getting your card. For this check excellent CSkills test platform where you can find out cscs course depending on your role and degree of expertise so that you can apply for cscs card online after passing the test.